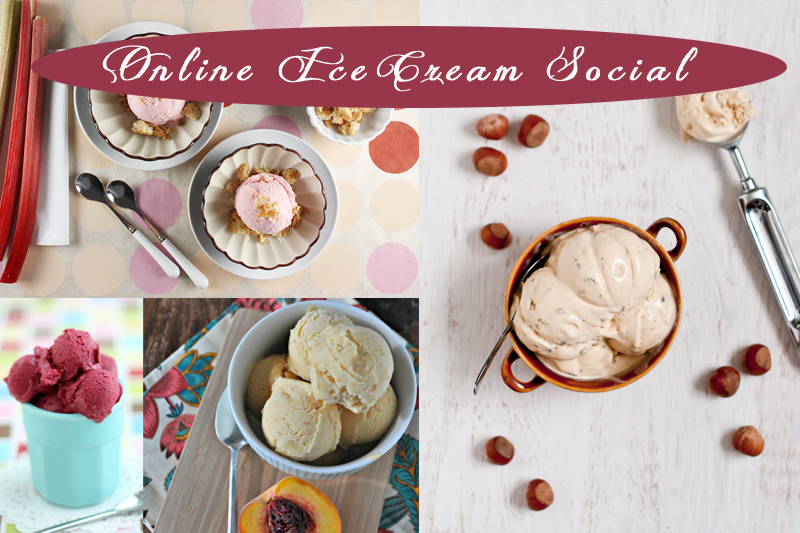 Just in time for Labor Day some girl friends and I put together our favorite ice cream recipes to share online. Instead of picking my own favorite I choose Elvis’ favorite: Banana, Peanut Butter and Honey Ice Cream. We’ll just call it Elvis Ice Cream. And it literally only has his favorite 3 ingredients in it with no sugar, milk or cream (so it’s dairy-free and low in sugar). I only with this wasn’t a virtual Ice Cream Social because I want to taste all of these!! Now back to this 3 Ingredient Ice Cream that I made… I must say this new creation I made is not a flavor combination that only Elvis enjoyed but a blend that I love as well. My grandmother commonly made peanut butter, banana and honey sandwiches. Looking up to her as a child I wanted a sandwich just like hers so, I quickly became a fan of the pb, banana, honey sandwich. And now I must say those flavors do especially well as an ice cream. I mentioned before that this is a 3 ingredient ice cream and I meant it. I learned recently that you can make ice cream with one ingredient, bananas, and no ice cream machine. I just added a few spoonfuls of peanut butter and a generous squeeze of honey and you get a delicious blend for a creamy, salty-sweet ice cream. I think you’ll like it. 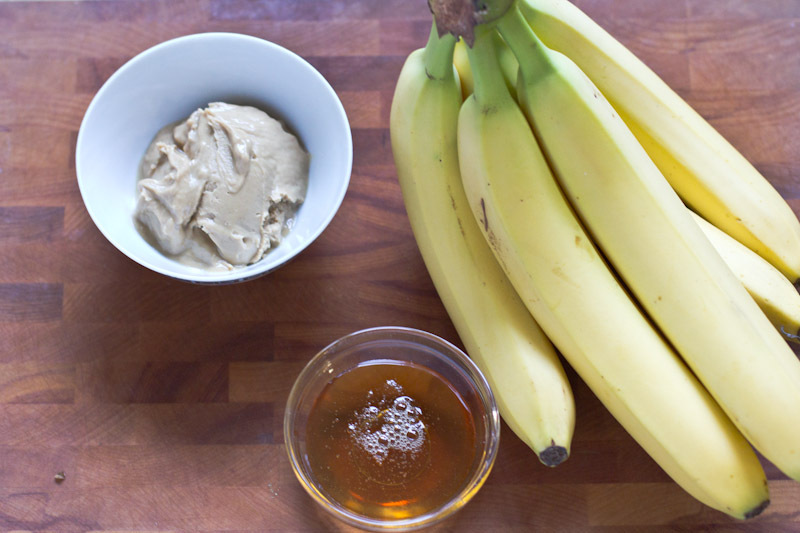 Puree unfrozen, ripe bananas in a food processor until smooth and creamy. Add peanut butter and blend again. Add in honey to taste. Freeze for at least 5 hours and enjoy! Talk about pure comfort ice cream! 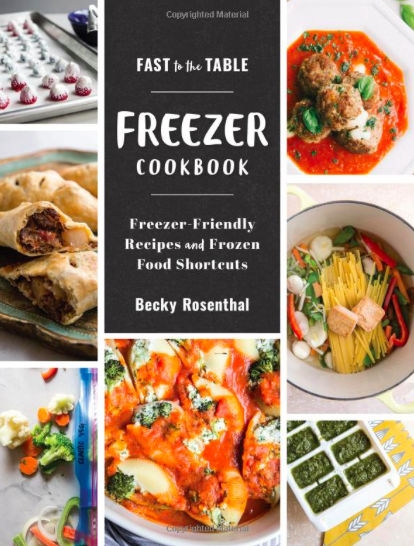 Love this idea…my fave sandwich deconstructed into a frozen treat! best ice cream combo ever! 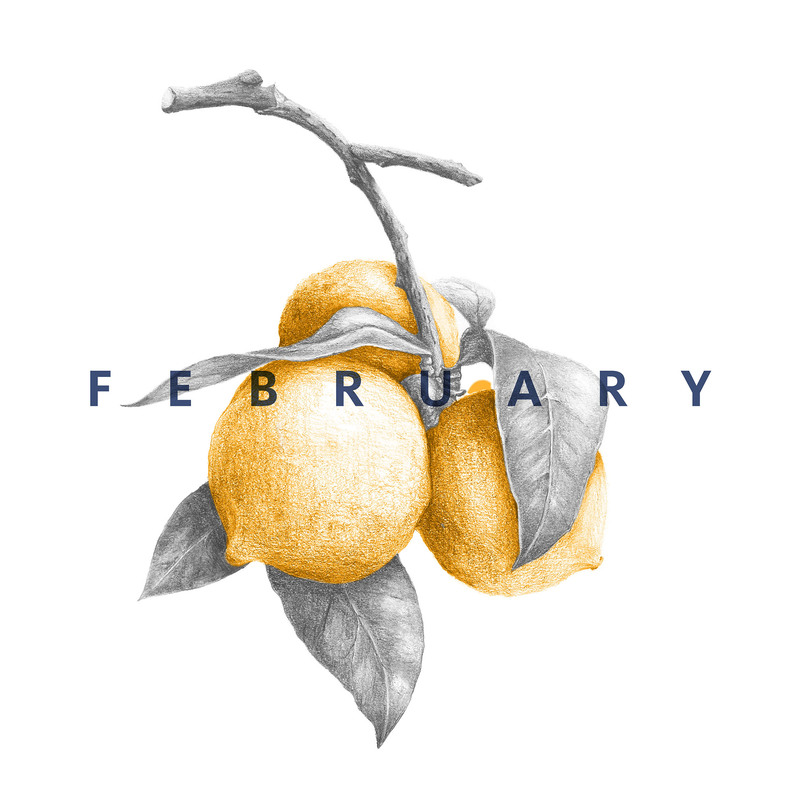 Love the simplicity of this…I’ve got to try it! I love using honey. Thanks so much for joining the ice cream social. 🙂 Can’t wait to do it again. I’ve seen so many of these simple, few ingredient ice cream recipes. I really need to give one a try, and yours looks fantastic. 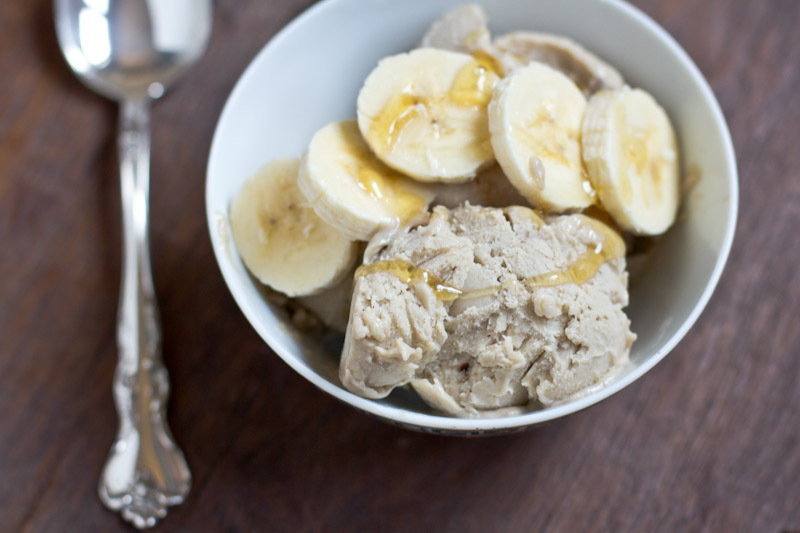 Love the combination of banana and peanut butter! 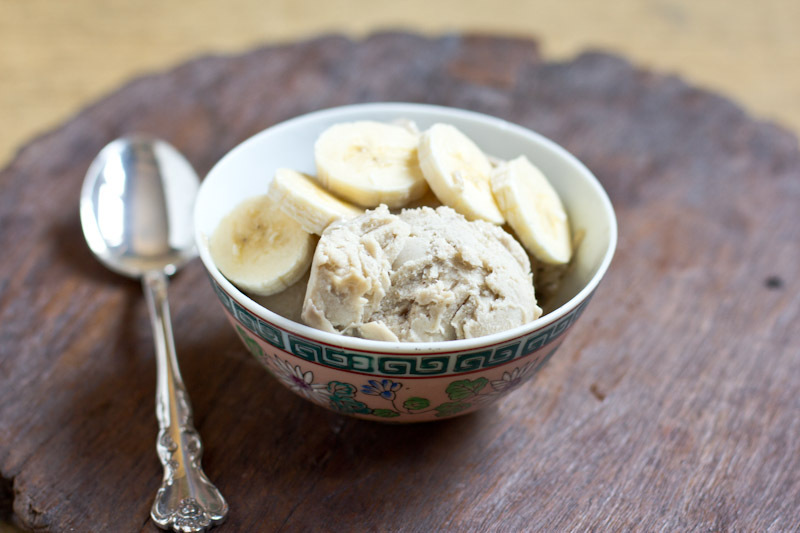 banana ice cream is so easy. I like to peel the banana, slice it put it in a sandwich bag, zip it shut as is or add other ingredients to it. Let the air out when sealing, squeeze in hand, push it all to the bottom of the bag, fold it, place in freezer, as many bags as you have bananas. When I open I cut the edge push up and enjoy. Linda, fabulous idea for banana push-up popsicles! I will have to try that!